We operate with agility and promptness and thrive in a positive, forward thinking, proactive environment. Our short reporting lines allow us to make positive decisions with speed and accuracy. We serve our customers and each other with a professional, friendly service and always go the extra mile. 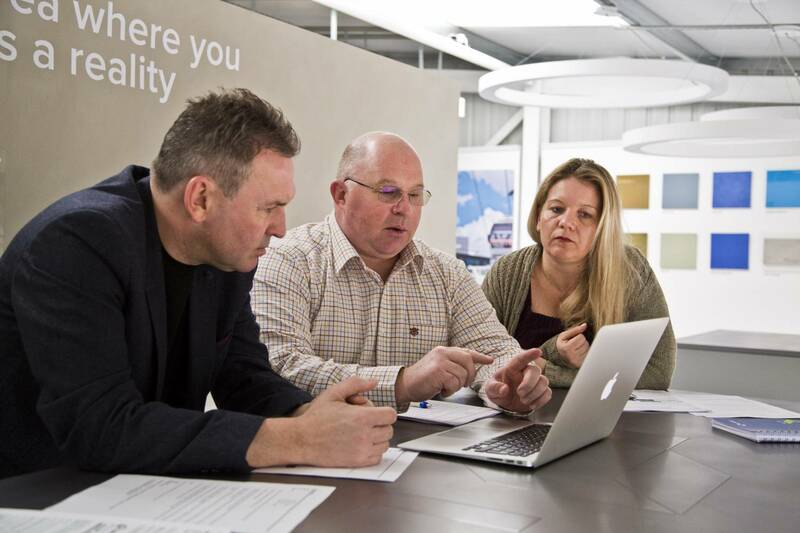 We support each other as a true team ensuring our customers get the very best projects and products, delivered on time with efficiency, innovation and quality at the fore. 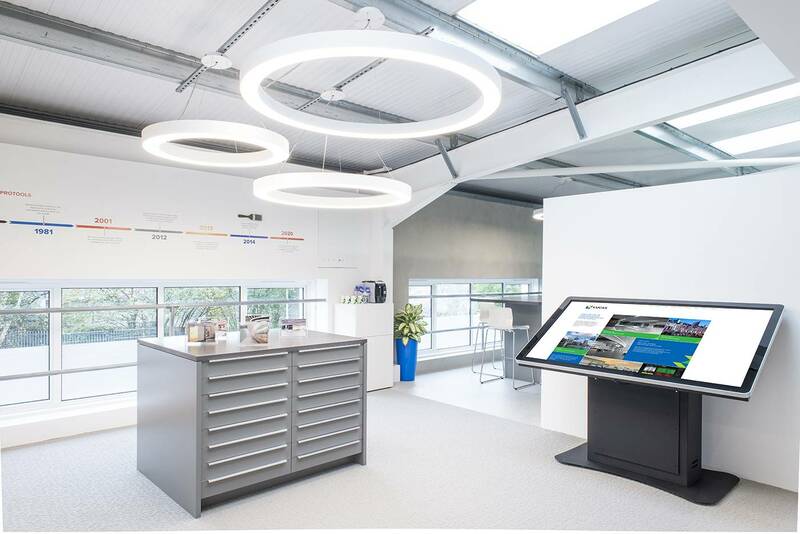 We have built a strong reputation in our industry for being one of the most efficient and reliable fit out and finishing companies, providing a consistent and reliable service. 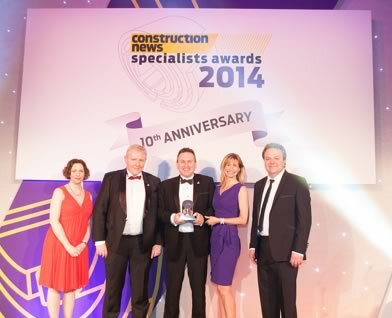 This is widely recognised by being shortlisted for the last six years in one of the industry's most prestigious awards schemes, the Specialist Awards organised by Construction News, which we have won twice. We have also been recognised in awards schemes organised by the Painting and Decorating Association and Won Specialist Contractor of the year at both Building Awards and Construction news Awards. Our ability to respond to our clients' requirements on time, on budget and to the highest standards is evidenced by a substantial portfolio of testimonials. Lucas was one of the first painting contractors to be registered by the British Standards Institution to the original BS 5750 Standard. Quality management is embedded in our culture and today we operate an effective quality management system in compliance with and certified by the BSI to ISO 9001. Health and safety is a cornerstone of our company where safety and quality of service go hand in hand. We have an enviable track record in safety with awards from some of the world's largest landmark projects and blue chip clients. To give one example, we were acknowledged for three years running to have no reportable accidents or incidents whilst deploying one of our largest ever teams to decorate Terminal 5 at Heathrow during its construction. Our safety regime and the measures we take across the company are independently checked and accredited, under the UK Contractors Group's Achilles BuildingConfidence, SSIPs via SMAS, and Constructionline schemes. 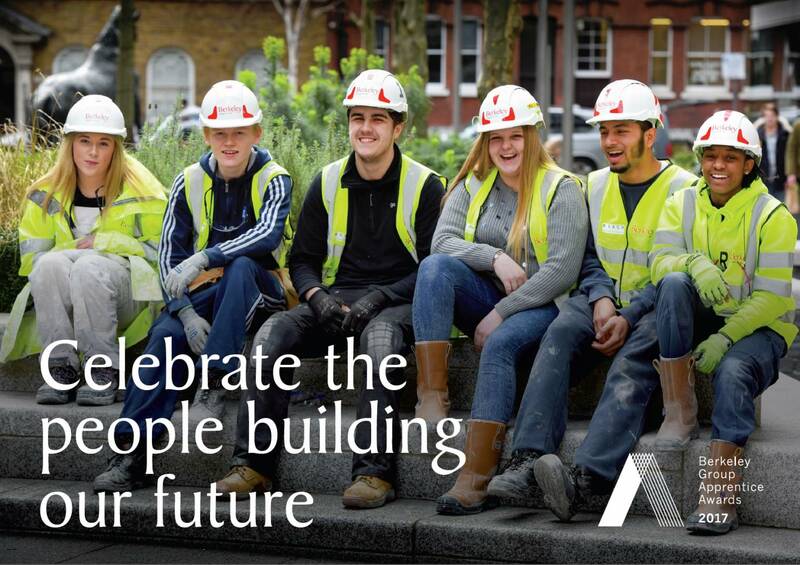 We employ fully trained and qualified site managers and operatives all of whom are instilled with the company's policies and attitudes centred on integrity, quality, proactivity, reliability and team spirit. We call on a regularly used pool of labour at short notice without compromising quality standards. Some of our projects require only a small team but we are also able to commit over 200 operatives on the largest construction projects, enabling us to work on a wide range of contracts valued from £50,000 to £10 million. Lucas has been awarded and maintains its ISO 140001 certificate of top environmental performance after developing detailed environmental management systems that are rigorously and regularly appraised by external assessors. ISO 140001 is the internationally accepted standard that sets out a blueprint for developing an effective environmental management system. In order to achieve this standard, we review and update all our policies and practices throughout the business and across all the sites at which we operate. Partnering has been adopted by most of the industry's major clients and contractors as a proven method of streamlining costs, enhancing profitability, reducing waste and improving build quality. As a result, we regularly enter into framework and partnering arrangements with our clients where contracts are negotiated or procured through single source methods and an open, integrated approach is naturally adopted. This openness and integration adds huge benefits to a project when we are involved at an early stage. 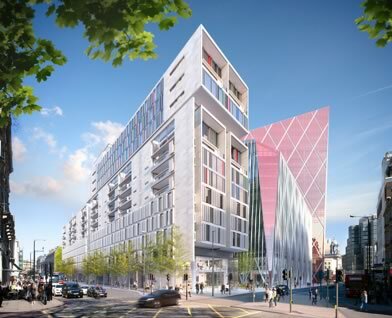 It allows us to undertake detailed pre-start planning and provide technical data and specifications to be included for building information modelling (BIM) and materials selection, in partnership with the rest of the project team. Additionally we invite suppliers to join the Lucas supply chain. 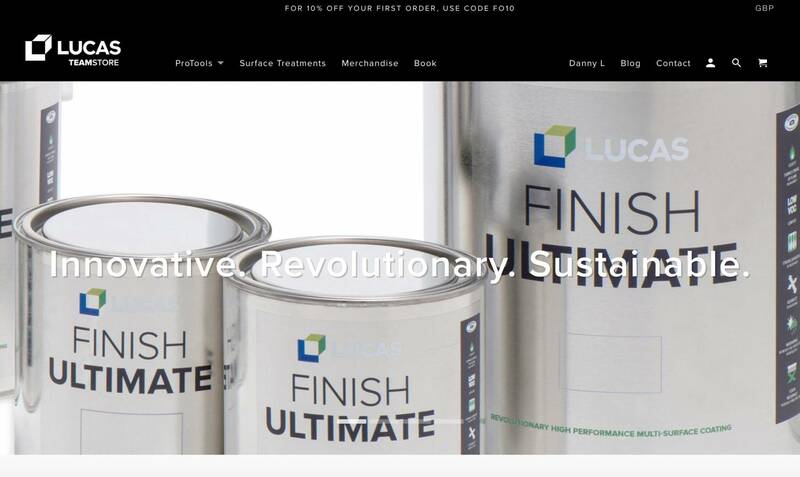 Lucas founded as a specialist spray & painting contractor whilst working for Taylor Woodrow. Company firmly established as a spraying specialist. Proactive nature of company sees service expand at request of clients to include general painting and specialist finishes. Lucas achieves Bronze FORS (Fleet Operator Recognition Scheme) accreditation. Following the Bronze accreditation, Lucas have now achieved a FORS Silver accreditation. 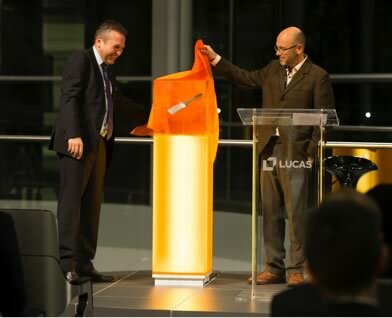 Lucas launches Lucas ProTools on 27th November at the McLaren Technology Centre with designer Wayne Hemmingway. 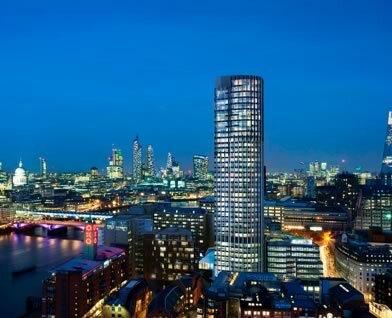 Appointed to carry out fit out & decorations to the penthouses for the prestigious Nova Residential block within the redevelopment of the Victoria area of London. 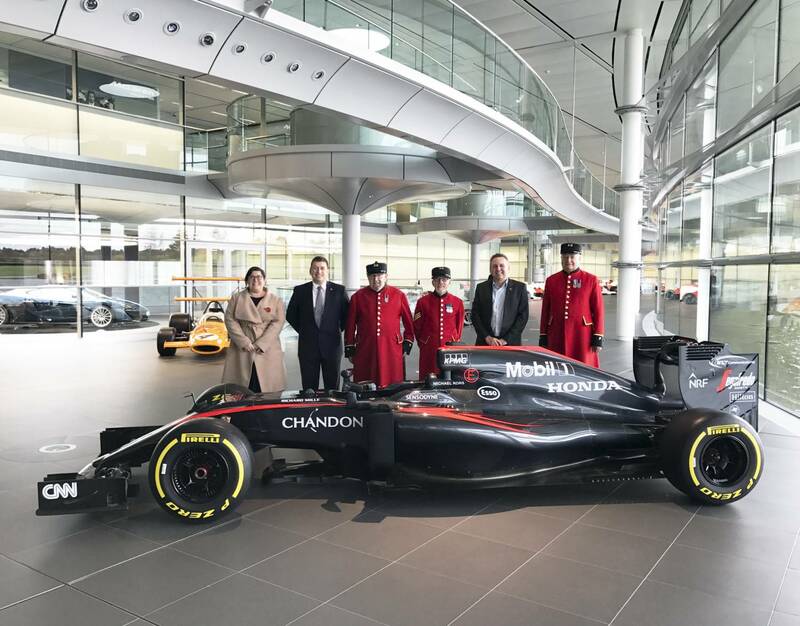 McLaren and Lucas renew their contract partnership, following constant high quality fit out and decoration packages at the HQ in Woking. 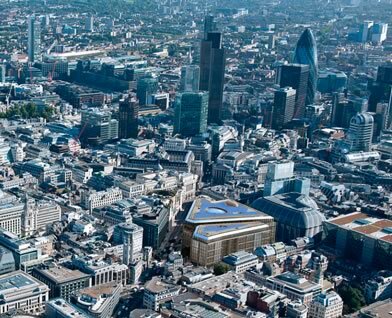 Lucas has secured a number of important packages at Walbrook Square - Bloomberg Place which promises to be one of the most significant and highest quality City of London developments for many years. 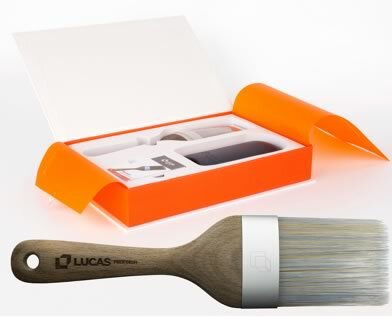 The designed and made in Britain Lucas ProFinish paintbrush set goes on sale and is sold out within 2 weeks. 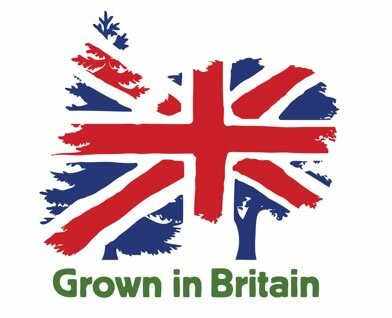 Lucas proudly supports the "Grown In Britain" campaign which encourages the use of British grown timber. 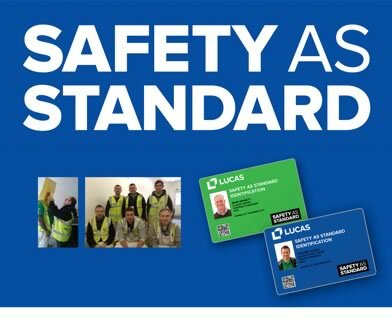 As part of Lucas' Safety As Standard initiative, Lucas launch a Workforce Engagement Programme to enforce effective safety training. 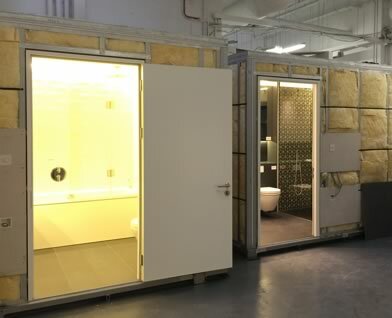 Lucas launches Lucas Off Site and delivers first Off Site bathroom pods for BBC Television Centre. 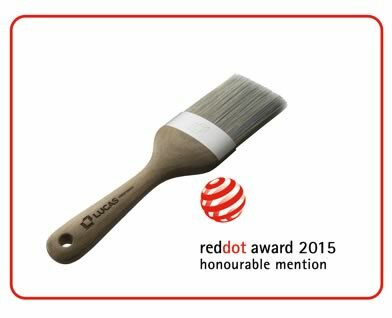 The Lucas ProFinish paintbrush is awarded with an internationally acclaimed Red Dot for Product Design. 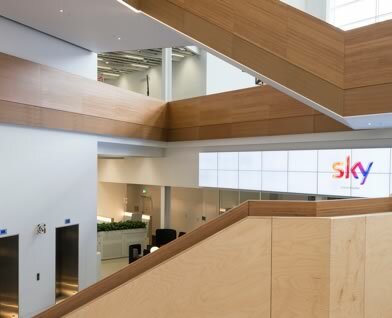 Carrying out decoration and fit out packages as part of the major expansion programme at BSkyB's Osterley campus including The Meeting Centre, BiBB and Sky's newest structure Building 2. Performing multiple fit out & finishing packages on Kings Reach Tower now renamed South Bank Tower a very high end residential development. 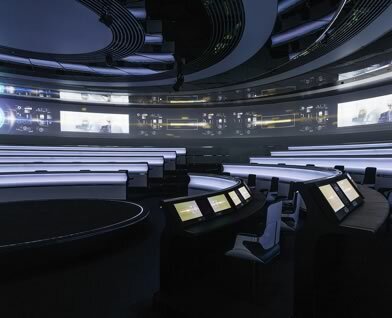 Lucas completes work on McLaren's Thought Leadership Centre where many of our specialist and bespoke coatings have been applied. 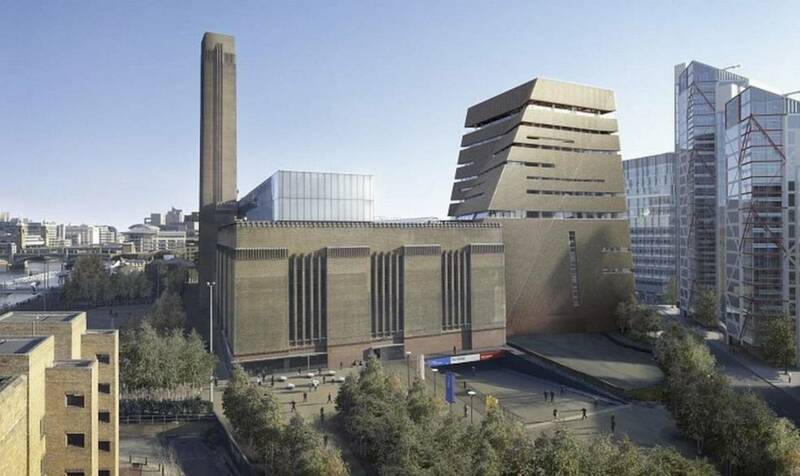 Lucas is appointed to carry out the complete decoration package for the Tate Modern extension where Muralplast MSP will be applied. 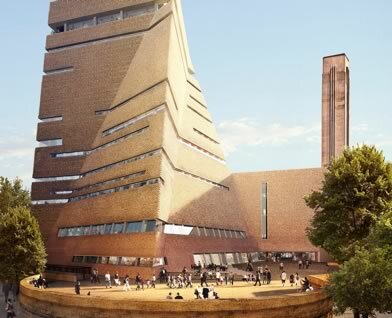 Lucas painting teams are once again deployed at Tate Modern to provide a fine artistic finish to the galleries and exhibition spaces in the new 10-storey extension due to open in June 2016. A new film demonstrating Lucas’s commitment to innovation and its successes in introducing new technologies to the fit out and finishing industry is now available on the Lucas website. Lucas launches The Lucas College Programme in Partnership with Dulux Trade, Go Construct, Knauf and Constructing Excellence. Fit out and finishing specialist Lucas has launched The Lucas College Programme in Partnership with Dulux Trade, Go Construct, Knauf and Constructing Excellence (Kent). 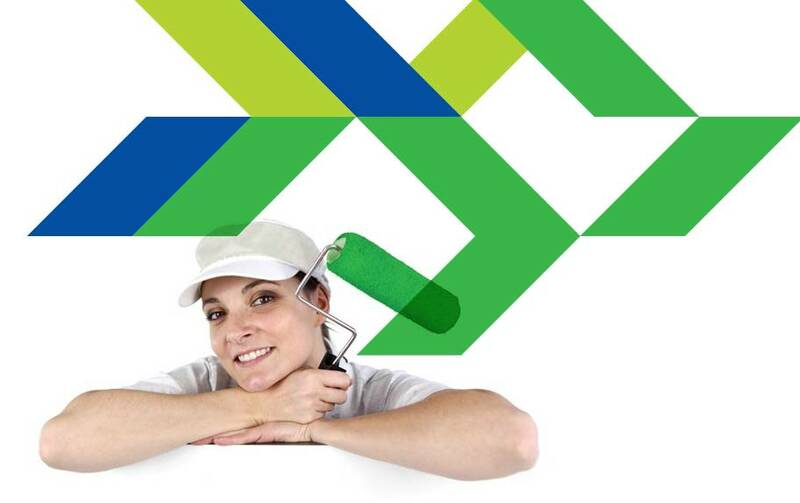 Aimed at talented students completing their NVQ Level 3 studies in painting and decorating, The Lucas College Programme, with circulated invitations to entry to all UK colleges, is designed to help counter the widely criticised skills shortage in the construction industry. 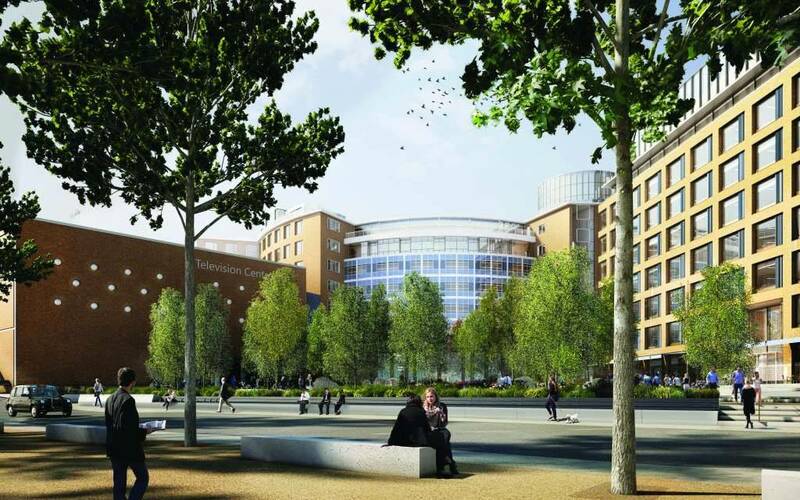 The famous donut-shaped former BBC Television Centre in west London is now a Grade II listed building and the centrepiece of a major redevelopment scheme that will deliver luxury apartments, including a new Soho House hotel. 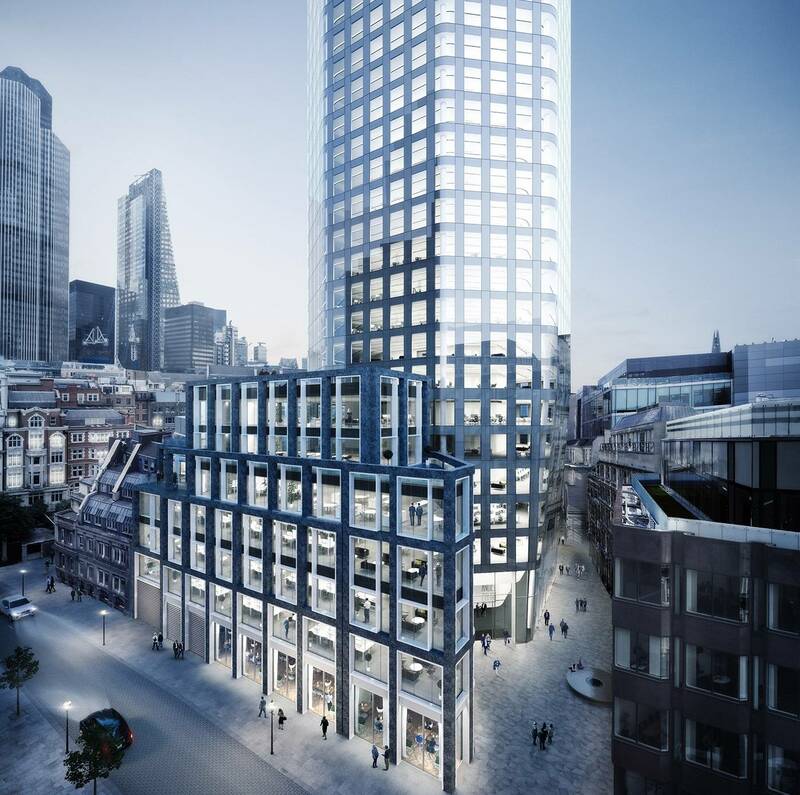 Lucas is working on a major fit out at 1 Angel Court, an important office rebuilding project in the Bank Conservation Area in the heart of the City. Our comprehensive health and safety training regimes have paid off in style at Lucas as we have just clocked up over one million hours of safe working without a reportable accident or incident. Lucas is delighted to be celebrating the 10th anniversary of our Fit Out division this year. We formed the separate division back in 2007 in recognition of the increasing amount of fit out work we were undertaking and the need to channel our expertise and formally organise our expanding range of services for the benefit of our clients. 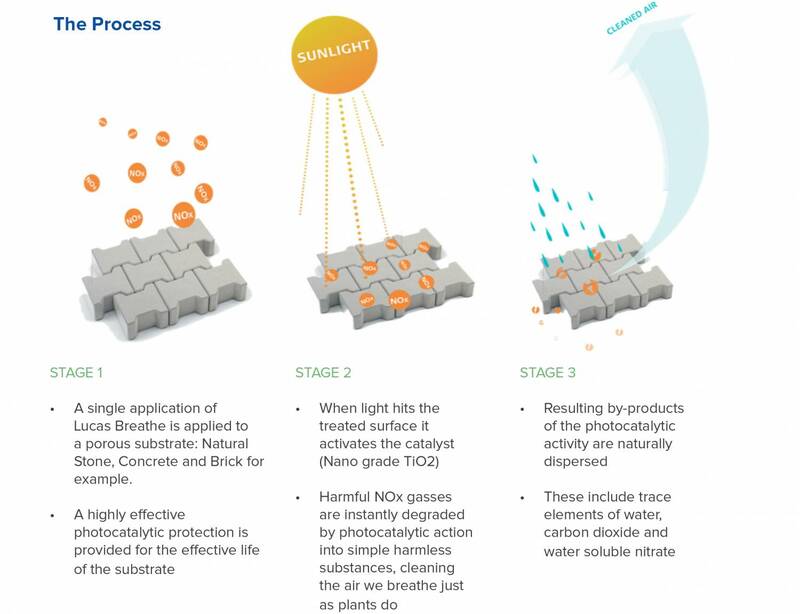 Lucas has developed a new protective surface treatment for porous surfaces such as stone and concrete that cleans the surrounding air. It dramatically reduces volatile organic compounds (VOCs), nitrous oxide NOx pollution from traffic and resists the surface growth of mould. It helps kill airborne spores and allergens which cause asthma and breathing problems. The air cleansing action of the treatment is similar to the way plants and trees improve air quality. 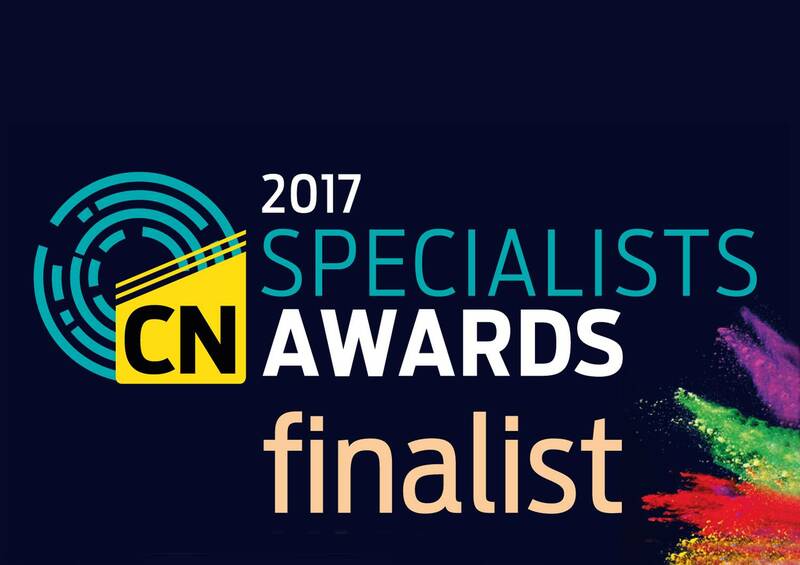 Lucas have been shortlisted as a finalist in the Specialist Contractor category. We have triumphed over stiff competition to be awarded our place on the shortlist and we are pleased to have been given the chance to prove that we are worthy award winners. 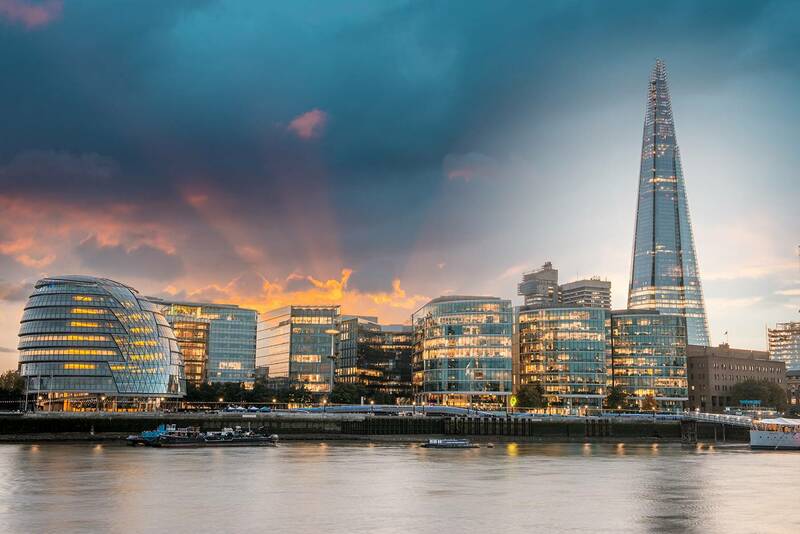 Lucas has been awarded a certificate and trophy by Berkeley Homes, as winners of the Best Performing Contractor, in terms of safety following on from the iconic One Tower Bridge project. 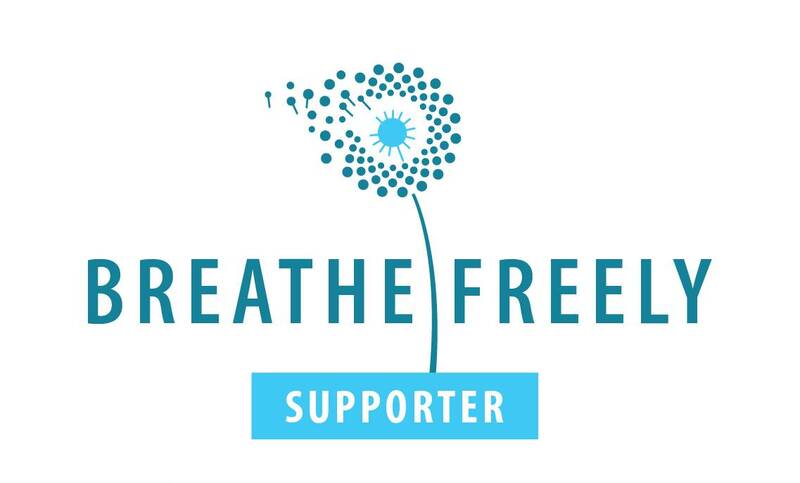 Lucas is proud to be supporting the Breathe Freely campaign by BOHS; The Chartered Society for Worker Health Protection. Lucas have done it again by reaching over 1.5million hours of safe work! We have some very exciting news! 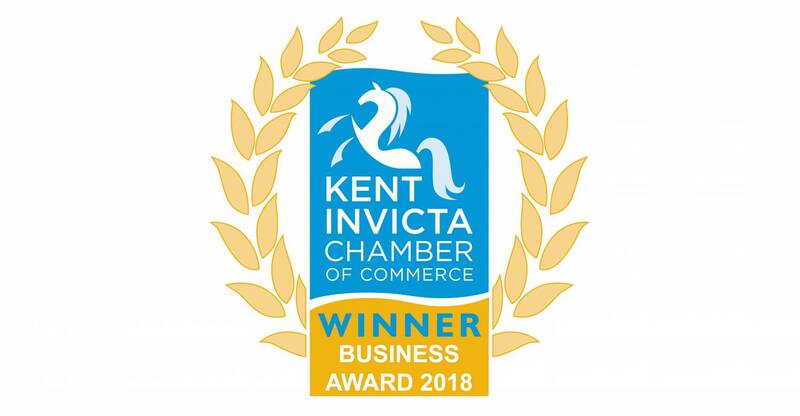 Following on from our announcement that we had been nominated as finalists for two awards in the Kent Excellence in Business Awards, we can finally announce that we won the Business Commitment to the Environment award last night! 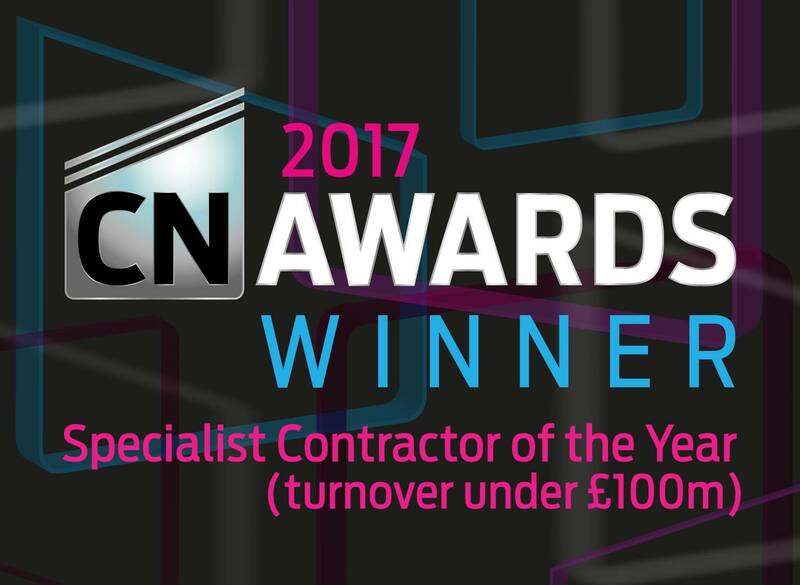 Lucas has been crowned Specialist Contractor of the Year (turnover under £100 million) at the Construction News Awards 2017 held at the Grosvenor House Hotel in London. 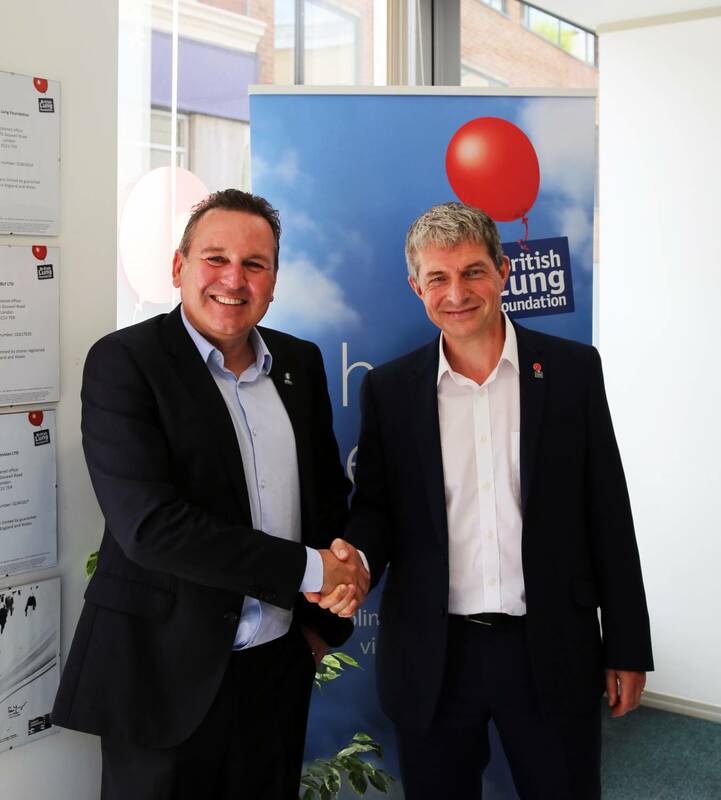 Lucas, with Lucas Breathe is thrilled to announce that they are now a Living Well Alliance partner with the British Lung Foundation. 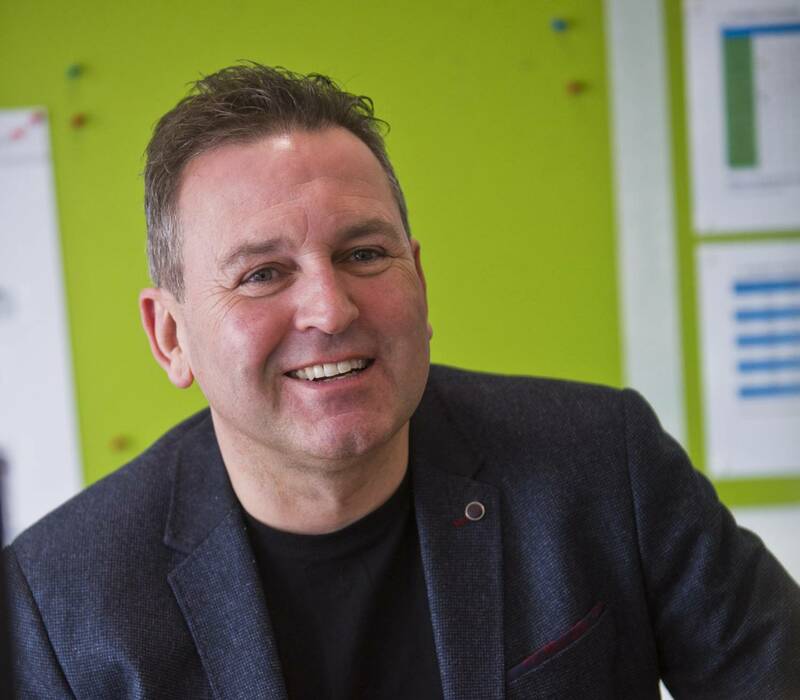 Lucas has completed all its financial commitments in connection with the 2010 management buyout (MBO) of the company which saw Executive Chairman and Managing Director Danny Lucas take over majority ownership of the family business he joined aged just 15. 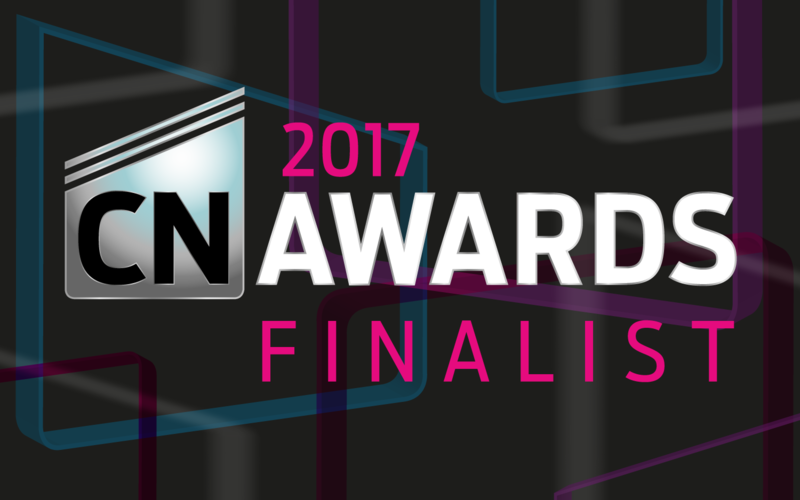 Lucas is delighted to have been shortlisted for the Berkeley Group Apprentice Awards 2017 in the Best Subcontractor category. The awards recognise people and businesses that have gone the extra mile demonstrating their commitment to apprenticeships. 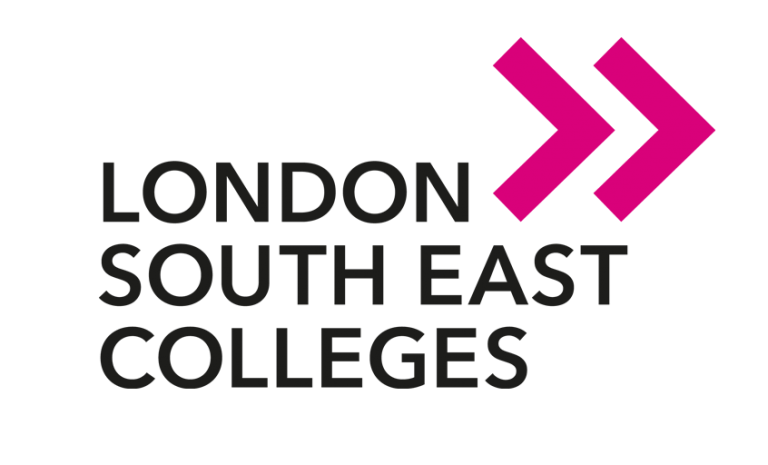 Lucas has appointed its first fully qualified training and apprenticeships manager and is partnering with London South East Colleges as part of its commitment to bring college vocational courses together with practical, on-site training. Lucas believes this is the best solution to solving the construction industry’s skills shortage. Lucas has won the Berkeley Group Apprentice Award 2017 in the Best Subcontractor category. The awards recognise people and businesses that have gone the extra mile in demonstrating their commitment to apprenticeships. 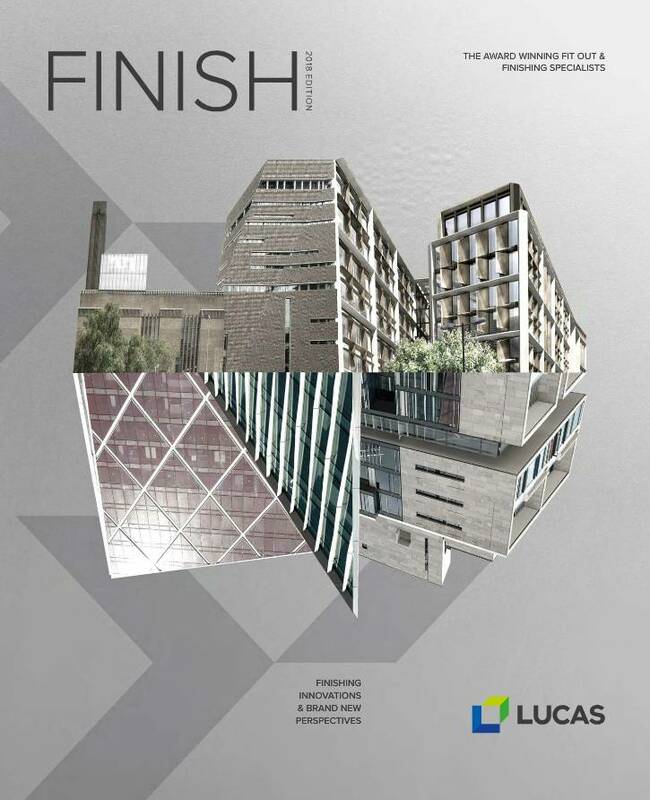 The latest edition of “Finish”, our stylish year book, is out now providing a detailed look at what’s happening in and around Lucas in words and pictures. The new edition features some of our latest and most prestigious projects including the new London headquarters of Bloomberg, number One Angel Court, and the new Lexicon shopping centre in Bracknell which has regenerated the town centre. 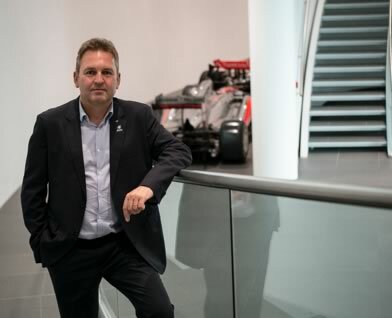 Lucas has launched its own easy to use e-commerce platform, Lucas Teamstore, a one-stop shop for a selected range of innovative products developed and used by the award winning Lucas team. 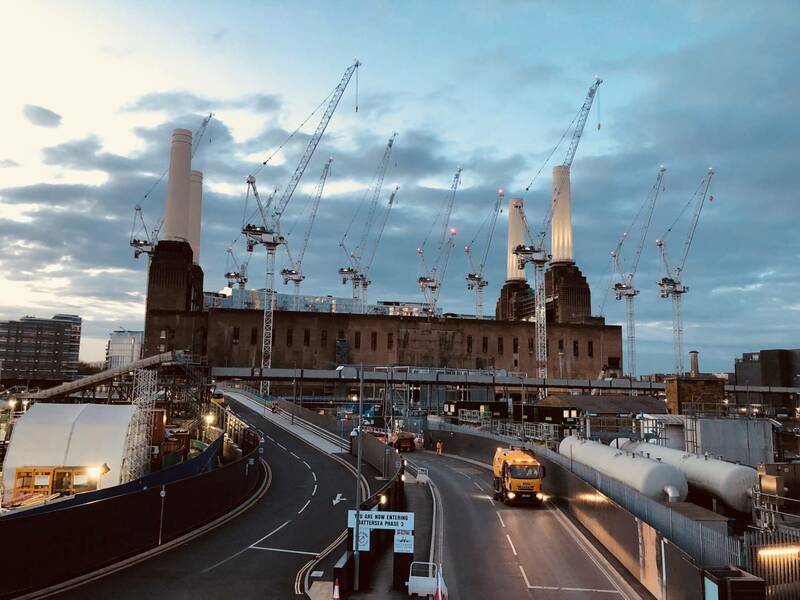 A Lucas fit out team is operating flat out at Battersea Power Station to deliver a complex programme of temporary accommodation works to cater for over 2,000 construction workers delivering Phase 2 of this huge development.